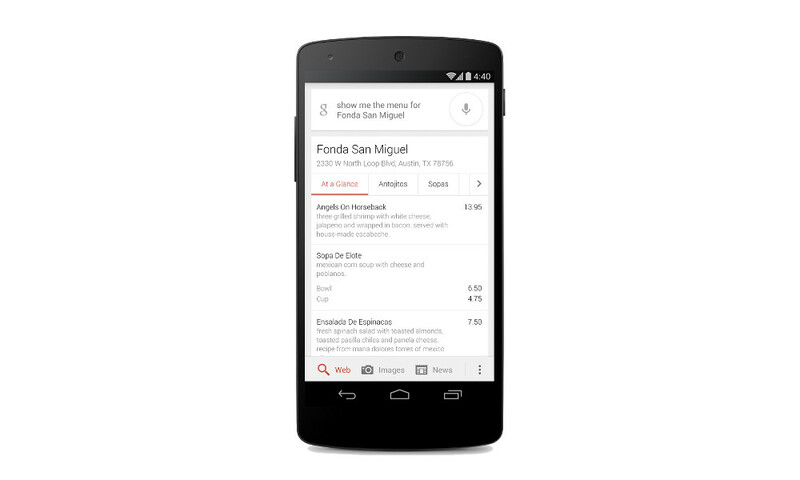 How often do you use Google to help you find a restaurant’s website so that you can hopefully checkout the spot’s menu? I do it at least a couple of times per week it seems like, especially when trying to decide where to meet friends at. The process, at least until today, has been extremely tedious. You had to search for a restaurant, visit their website, scroll around looking for the “Menu” link, and then either seeing the menu directly on the site or downloading it as a PDF file, which would then take another tap. 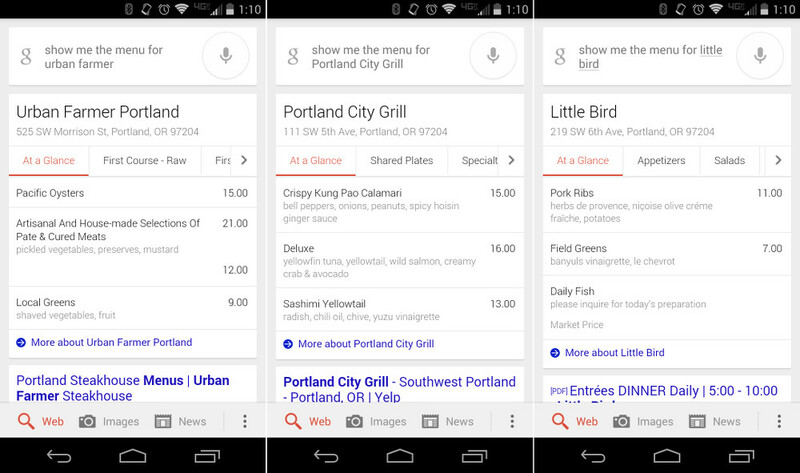 Google has fixed this painful process (at least in the U.S.), by adding all sorts of restaurant’s menus to search results that can be viewed on mobile and the web via card that pops up at the top of all listings. All you need to do is tap the voice search button, and say, “show me the menu for…,” and finish it off with a restaurant name. As you can see below, I had great success with Portland restaurants, though it did miss one local brewery that I visit often. The card does an “At a Glance” tab, followed by separate tabs for appetizers or salads or main entrees, depending on the restaurant. They even included pricing and arrows to help you get around without ever having to enter the restaurant’s website. It’s glorious.